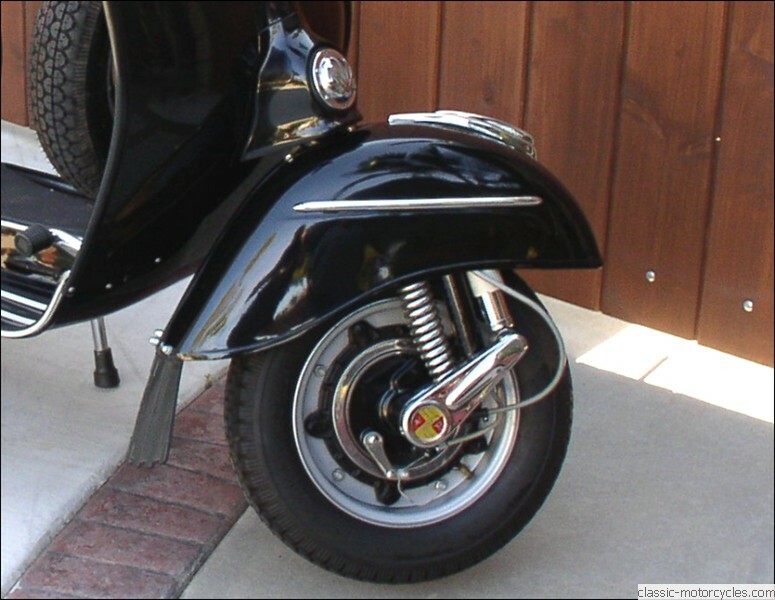 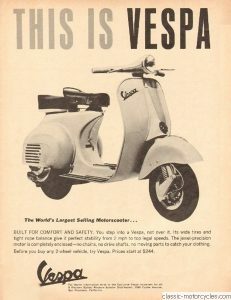 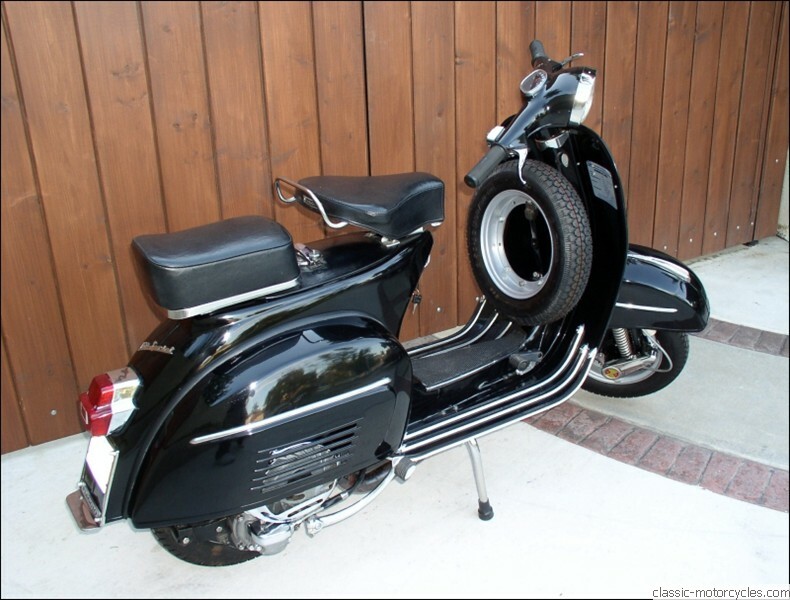 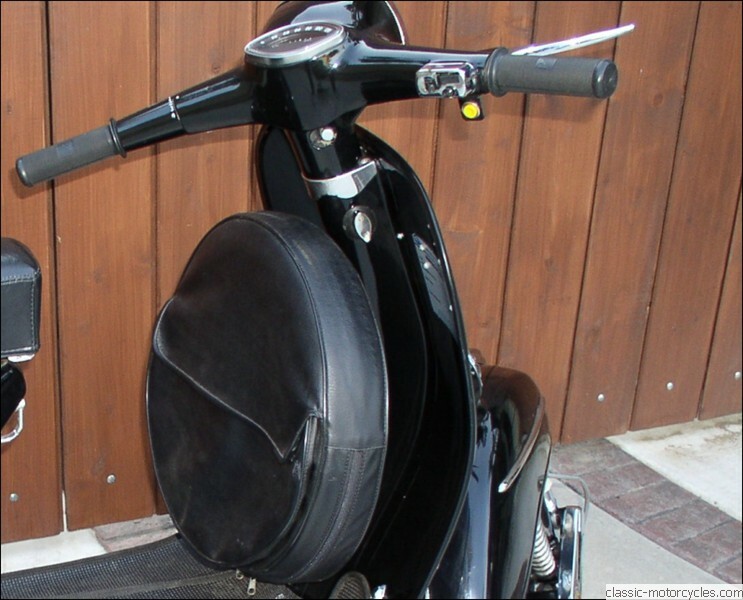 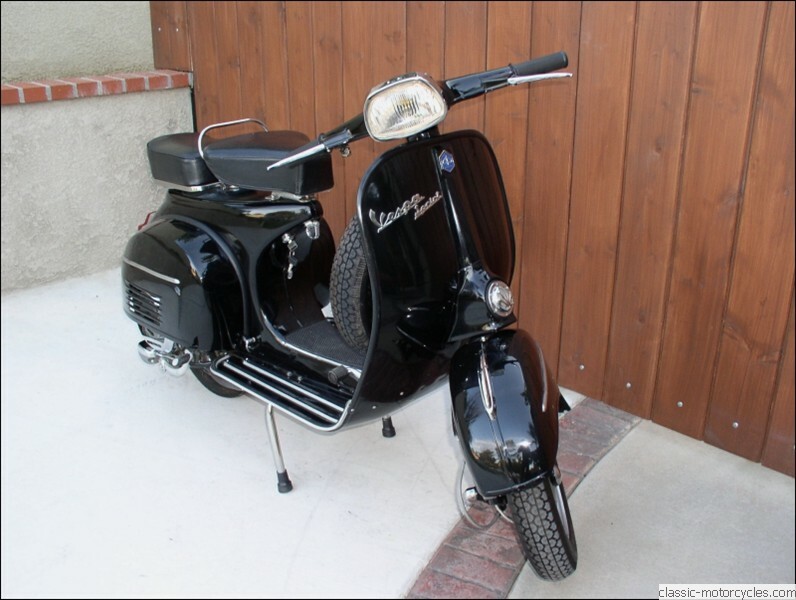 The 1966 Vespa Sprint is a 150cc two-stroke, single cylinder, air cooled scooter. 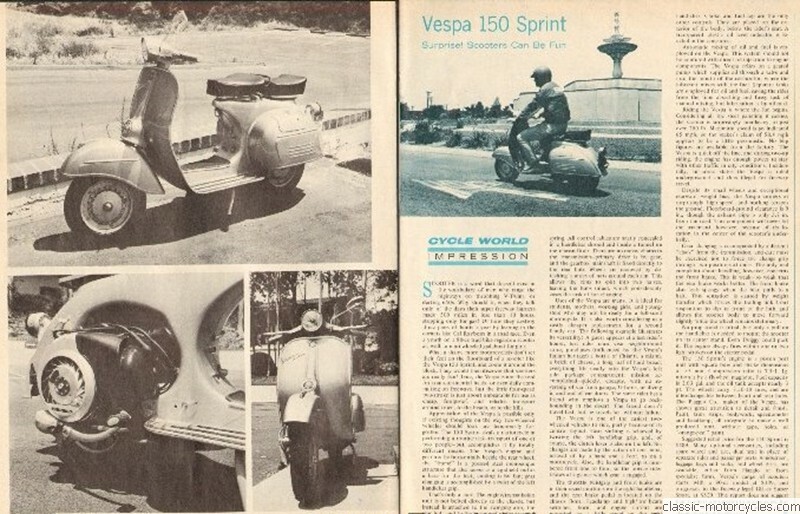 This is an early version of the Sprint. 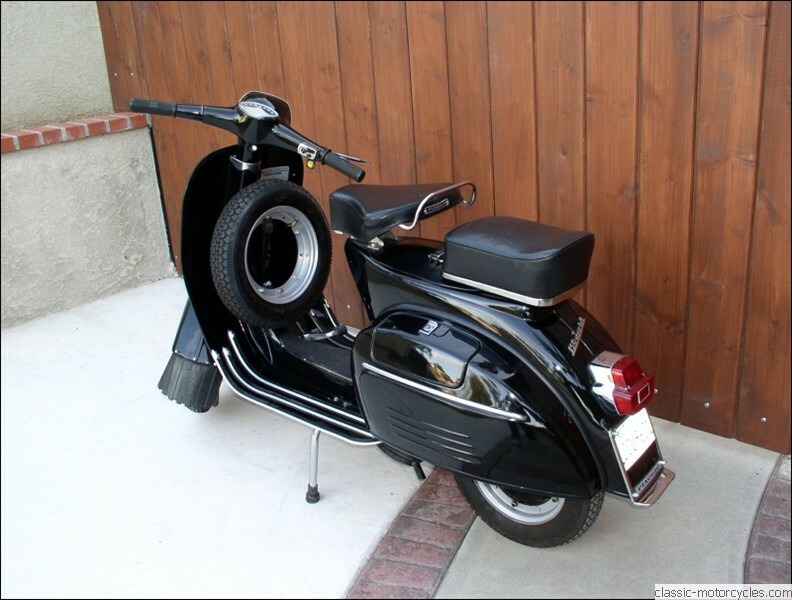 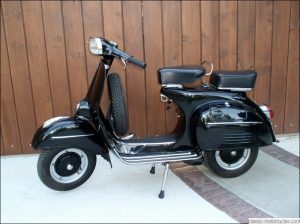 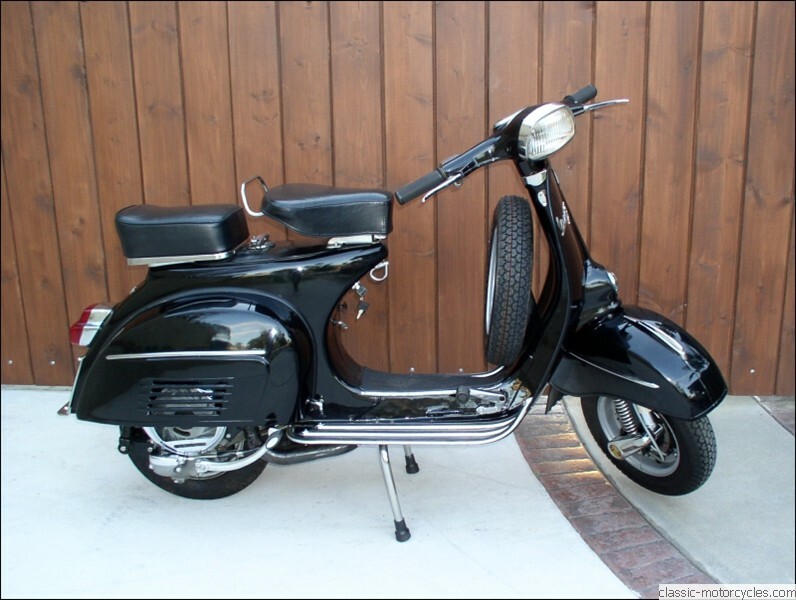 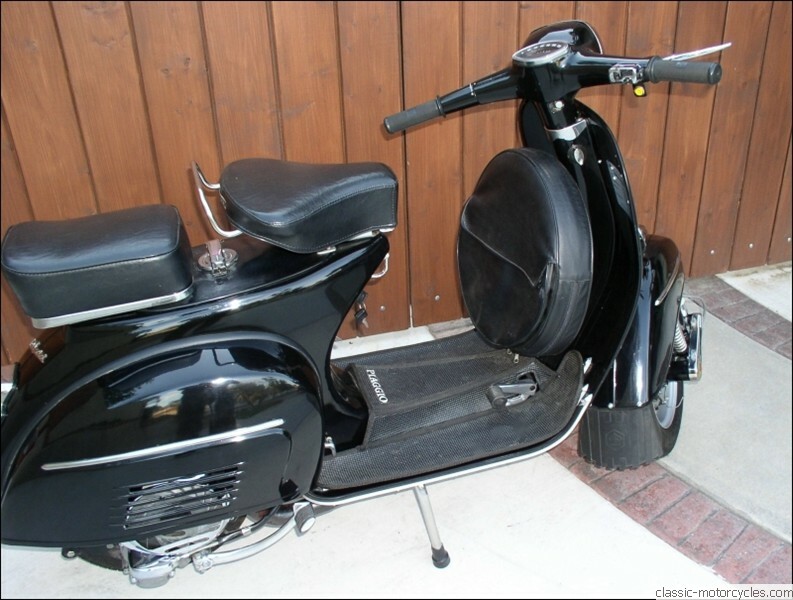 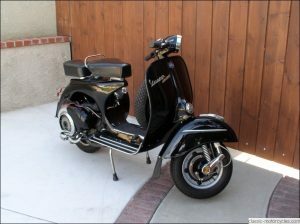 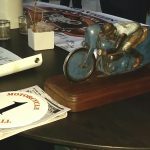 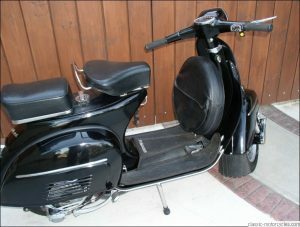 It was first built in 1965 by Piaggio. It has a top speed of about 60 mph. 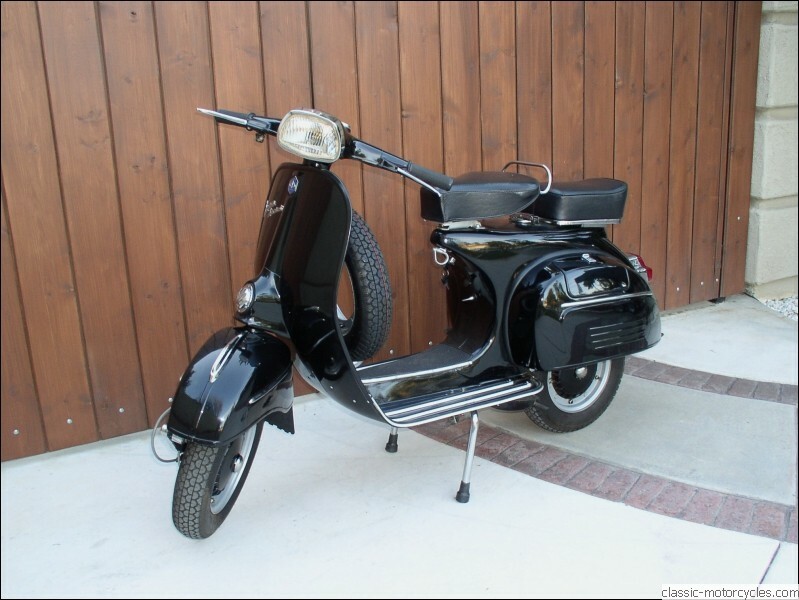 We bought this with the intention of keeping it as a shop scooter. 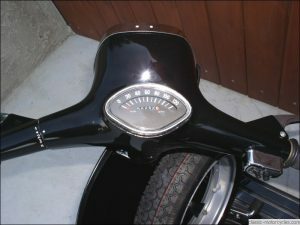 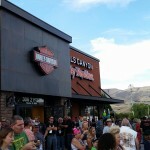 It was already painted black. 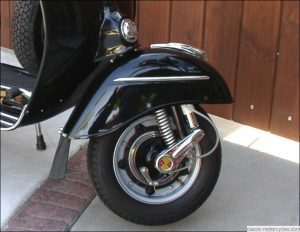 Ziggy did various repairs and chrome work; basically a “refurbishment” job. 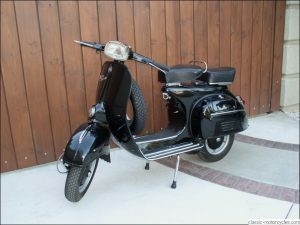 In the end we decided to sell it. We prefer more eye-popping colors. Riding the Vespa in the neighborhood. 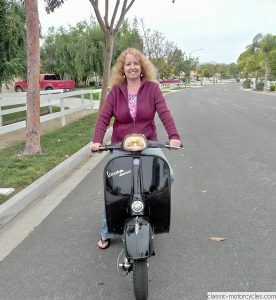 Fun little scooter.